These are from real buffalo, not from water buffalo. They come from a ranch in the U.S. and have been cooked and cleaned. The horns are all from bulls and measure 11-13" on the outside curve and 10" to 11" in circumference at the base. The diameter across the base is approximately 3-4". The horns are hollow on the inside. Only the very extreme tip is solid. The price is per horn (not per set). These horns are from ranch raised bison that have been killed for the meat. They weigh 8 ounces per horn or 1 pound for two horns. 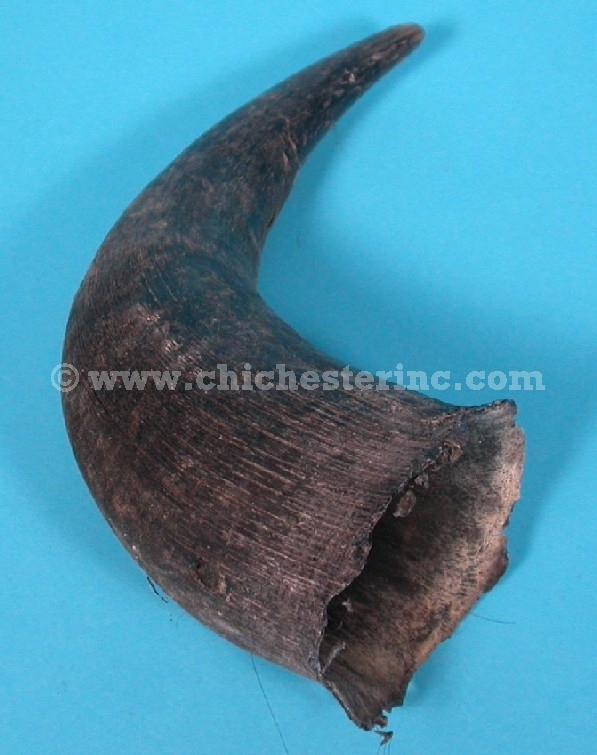 Many of our customers use buffalo horns as dog chews. 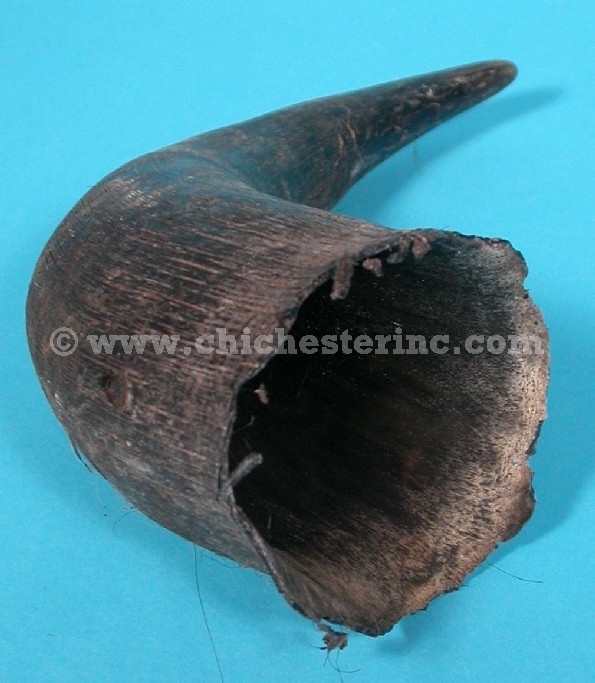 We have checked with our supplier and these horns are simply boiled with salt to kill any bacteria. No other chemicals were used in cleaning these buffalo horns. They are completely natural, and are often used as long-lasting dog chews. Any dog chew presents a choking hazard. Please supervise your pet when using this product. If you have any concerns about the chew being a hazard to your pet, please take away the chew and throw it out to remove any risk. The horns come from ranch-raised buffalo and are a by-product of the food industry. The buffalo were not killed just for their horns. For exports outside of the USA, please check with the customs authority in your country before ordering to make sure you can import these into the country. We cannot provide a veterinary certificate for these horns. It is impossible to import these into Switzerland without a veterinary certificate.